Steve's Service provides the best value for water heater services in San Bernardino County. Over the last three decades, we've served thousands of customers and earned a reputation for providing quality work at an affordable price. As a result of our exceptional service, Steve's Service has won the Super Service Award from Angie's List and was named "Best Plumbing Company" by readers of the Inland Valley Daily Bulletin. For those looking to install a new water heater, we always recommend an on-site consultation first. 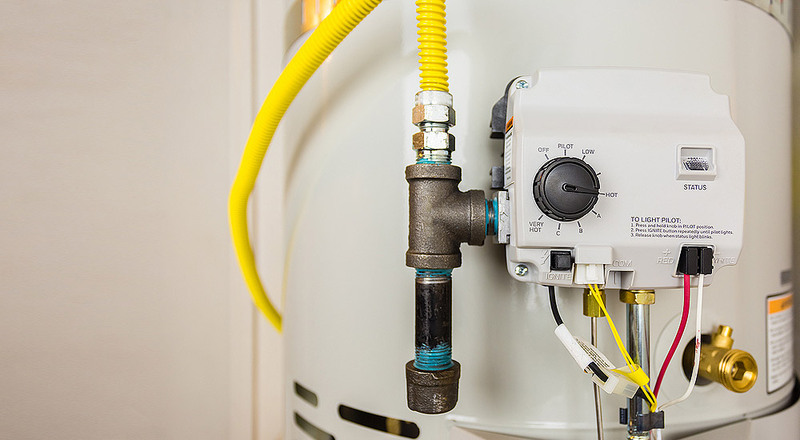 By taking into consideration your property's size and layout, hot water usage, energy efficiency goals, and budget, we can recommend the best water heater makes and models for your specific needs. We offer a wide range of options, including gas, propane, electric, tankless/under-the-sink, hybrid, and commercial water heaters from A.O. Smith, Takagi, Bradford White, and Rheem. Our water heater installations comply with today's best practices for safety--from ensuring there is adequate ventilation to adding earthquake strapping--and include removing and recycling the old water heater unit. We can also move and install gas and water lines if you wish to relocate your tank or want to add a backup or supplemental tank. Because of the volume of work that we do, we are able to secure special pricing from our suppliers and keep our installation costs competitive. New water heater installations are covered by a one-year warranty and an equipment warranty for up to ten years. Our plumbing technicians average 15-20 years of experience each. When it comes to water heater repairs, they've seen it all. Whether you have no hot water, a pilot that won't light, or a tank that has cracked or is leaking, call Steve's Service. We're available 24 hours a day, 7 days a week. If you have small children or are running a restaurant or hotel, we know how important it is to have hot water. When we receive a call for emergency service, we immediately dispatch our on-call technician. He'll arrive at your home or business site in less than an hour and arrive equipped with the most commonly used parts and tools he needs to fix the problem. And, because we have longstanding relationships with several local suppliers, we can also obtain special parts and replacement water heaters, as needed, any time of day or night. Steve's Service is a family-owned and -operated, fully licensed plumbing company. Call today. We offer same-day service for most water heater installations and repairs.